S7 Airlines announces decrease in reduced fares for Magadan - Irkutsk direction in the framework of the state program for ensuring the availability of air carriage between the Far East and the European part of the country. Now the amount of the special fare for this direction equals to 9,0001 rubles for the purchase of a one-way economy class air ticket. 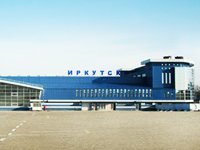 Passengers of S7 Airlines can also purchase the reduced fare tickets on the route Magadan - Novosibirsk. The special fare amounts to 13,500.00 rubles for one-way ticket and 27,000.00 rubles when buying a round trip ticket. It is possible to purchase a ticket and make a flight at such fare rate up to 31th October 2012 inclusively. nder this program, S7 Airlines also provides the reduced fare transportation in the economy class in six directions: Yakutsk — Moscow, 78/9Vladivostok — Petropavlovsk-Kamchatsky, Ulan-Ude — Moscow, Chita — Moscow and Norilsk — Moscow. Special fare tickets may be acquired by the citizens of the Russian Federation at the age of up to 22 years (inclusively), as well as by women over the age of 55 years and men older than 60 years. Tickets under this program are only available at S7 Airlines booking offices and through the agents. For more information on the special fares and the flights of S7 Airlines, please contact the airline’s call centre: (toll free for Russia). 1 According to the Government Regulation the maximum reduced fare for this direction equals to 13,500 roubles.